You have been to that car showroom a thousand times. Finally, you are taking your coveted car home. Am sure you will be spending much of your life in and around that car. After saving those long years, you do not want your prized car to age in months. To maintain that grand entry in your stylish, shiny car, you will need to invest in its maintenance. The exterior and interior of your car should look and feel new. 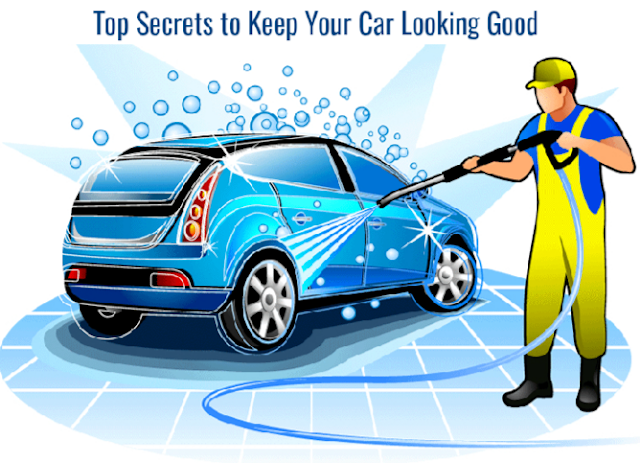 Weather conditions, dust, scratches, and accidents will leave your car looking old and ugly. First, let us look at ways to maintain the outside appearance. It is advisable to wipe off the dust from the car's body at the first possible chance. Dust left on the hood of the car will corrode the paint. A quick sponge bath should do the trick. Ensure the sponge is soft and change it often so that it does not scratch the car's surface. Every few months, wax the exterior of the car to protect the paint from corrosion from outside forces. This will immensely prolong the aging process. It can be left on and removed much later leaving the original paint spotless. Naturally, the car will be stationary for short or long periods while you take a rest. A cover will protect your car against rain and snow. Get a strong cover that can be left on for a month or more. Ensure that the cover has breathable fabric which will not trap moisture inside. Most car covers use fabric that is UV resistant to guard the car parts from damage caused by direct sunlight. Carefully select the right detergent for cleaning the car. Mild car wash soap will not destroy the car's polish. Now that the exterior is looking brand new, let us consider looking good inside too. The following tips will help to keep the interior in good condition. It is advisable to vacuum the car floor as often as possible to get rid of dust, dirt, and odors. Ensure you wipe all the hidden corners where dirt is trapped. Rinse well so that stains from the cleaning water are not left behind. Car seat covers will protect your car from looking shabby inside due to smudges and dirty finger spots. Floor liners will protect the floor from mud, spills, splashes, vomit and ugly stains. Cargo mats will protect your car while transporting various items. Before investing in my mats, I had an unpleasant experience with the stink of prawns and crabs which had dripped on the car floor. Blood from meat can leave a permanent scar on your floor if not handled well. Use a Canine mat if you are planning to be traveling with your pet to handle animal fur and waste. You can improvise by making use of the boot for items that are necessary but not in constant use. Make use of the glove compartment for items that are a necessity like parking tickets or loose change. Also make a habit of immediately getting rid of the clutter from food wrappers, fruit peels, and bottles. Personal effort is necessary for maintaining the car look. Do not shy away from spending a little extra on the car maintenance. When the car remains impressive for long, it will be worthwhile than replacing it with another one. It is advisable to supervise the car cleaning exercise so that it can meet the high standards that you want for your car. A thorough cleaning should be done both inside and outside the car. Occasionally, air the car to remove odors and trapped moisture in the corners of the car. Careful handling of the car will keep it free from scratches, bumps, and dents arising from poor driving and parking. When necessary, have the car repainted to regain that brand new look. Maintain the car in the condition that you are proud of and impressive to someone else.